Biscuitroot is a perennial that grows up to three feet high and two feet wide. It has a strong, parsley-like odor. Growth begins very early in the spring, and it is an important forage plant for livestock, antelope, deer, and insects early in the season. It is also an important species in sage grouse habitat. 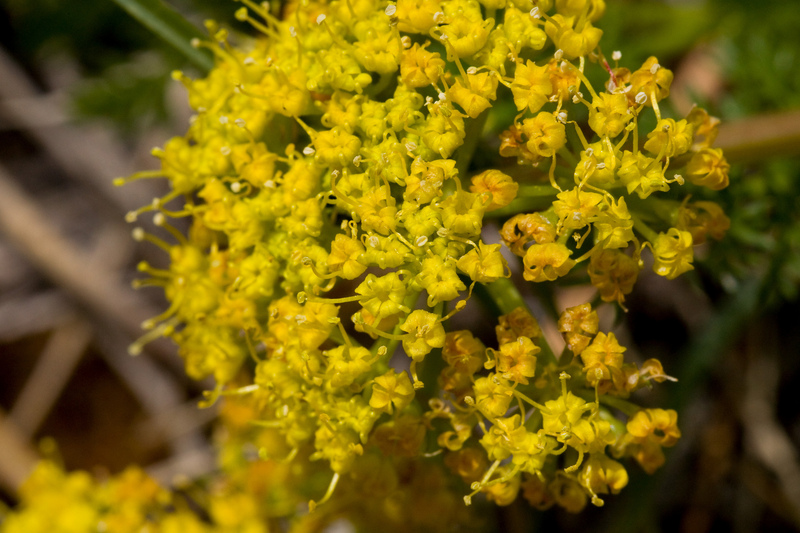 The yellow flowers are found in umbels (umbrella-shaped clusters). 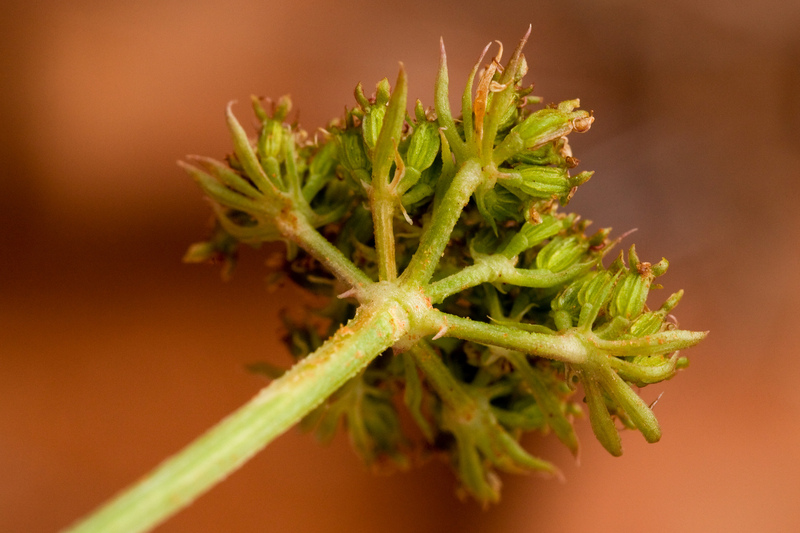 The seeds are very similar to those of dill, and have papery wings, which are thin and membranous. 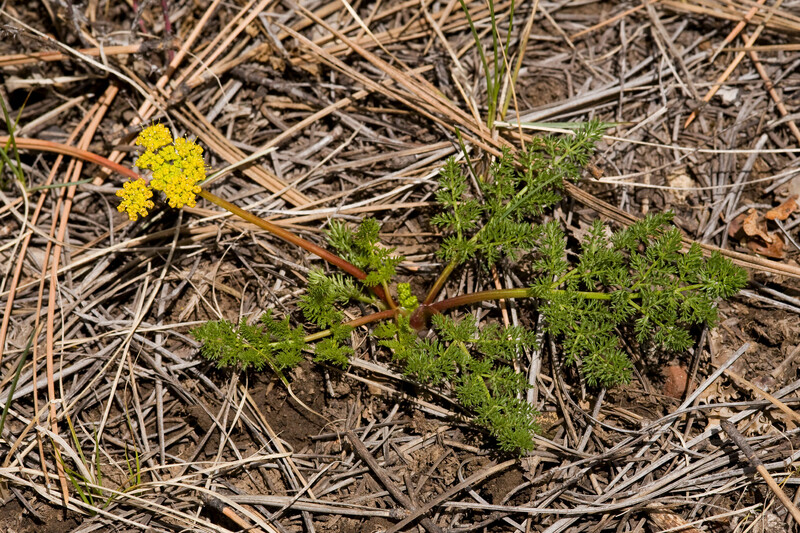 Leaves of foothill biscuitroot are subdivided into numerous, fine segments, giving the plant a fern-like appearance. Leaves are bright green. Biscuitroots have no real stem. Instead, the leaves and flower stalks arise directly from the crown of an exceptionally thick taproot. Biscuitroots are often found in dry, open, rocky areas and are associated with poison hemlock, cow parsnip, piÃ±on pine, snowberry, big sagebrush, black sagebrush, and Utah juniper. 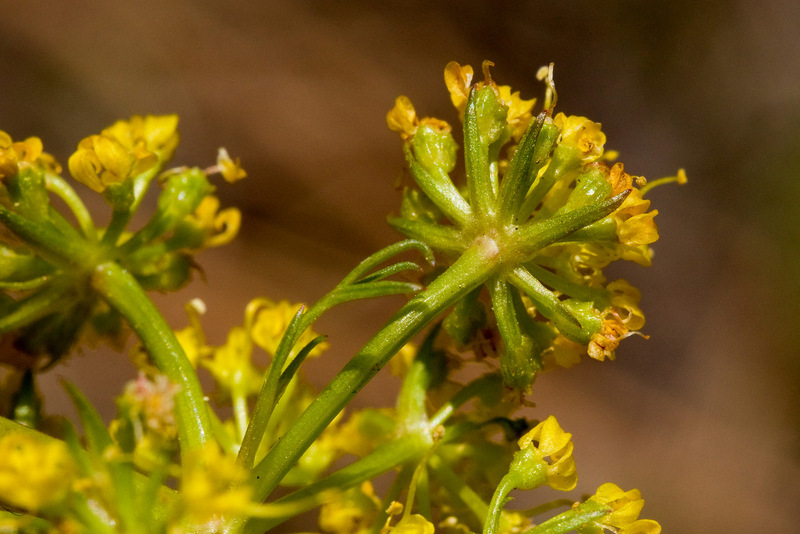 The root of Foothill biscuitroot can be cooked, dried, and ground into a powder, which can then be mixed with cereal flours or added to soups, etc. Traditionally, it was often eaten in the winter when there was little other food available. The tender young stems can be eaten raw. Biscuitroot may also have been used as an aromatic flavoring in cooked foods. *Based on Utah State University Range Plants of Utah description. For definitions, see the glossary.